“Archive Mist” explores personal and collective memory and trauma through photographs of the Red Cross in the 1910’s and 20’s. 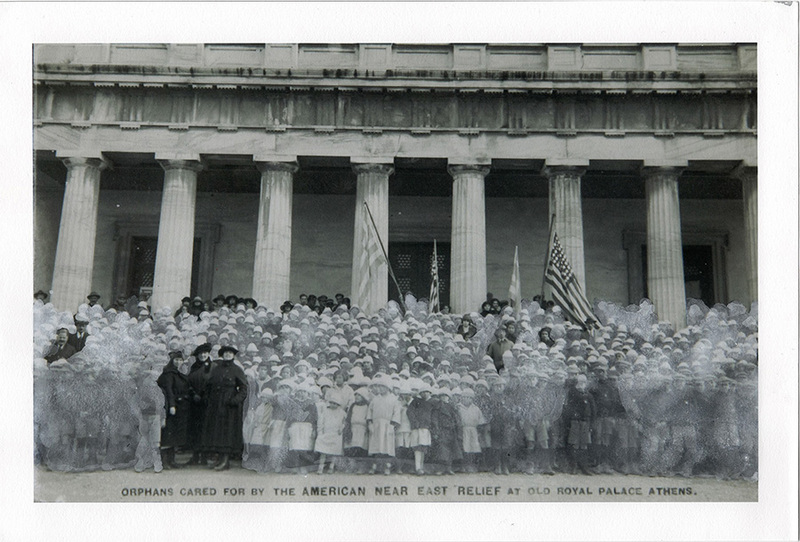 Armenoui Kasparian Saraidari employs images from the American Red Cross archive held at the Library of Congress, edited and re-archived the content to focus on the Armenian experience shown in the pictures. Reproduced on archival paper the images are re-painted with black and white acrylics echoing press retouch techniques, contemplating public and collective history alongside personal stories. Her mediation draws inspiration from her grandfather’s past who was separated from his Armenian family at the age of five living thereafter at a Red Cross orphanage in Greece. Through her interventions on the prints’ surface, Kasparian aims to engage the martial in a cross-generational dialogue that brings to light stories that otherwise would remain unknown.